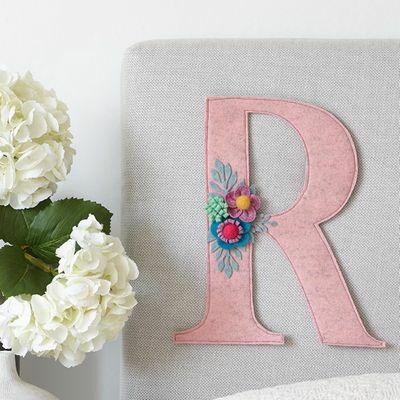 Get creative with felt and make a beautiful boho style letter art - a project that will look fantastic hung on a wall or propped up on some bedroom shelves! We will be looking out my lovely sewing machines for this workshop - you will first of all learn how to create a stitched felt letter base using paper templates, melange felt and the machine. 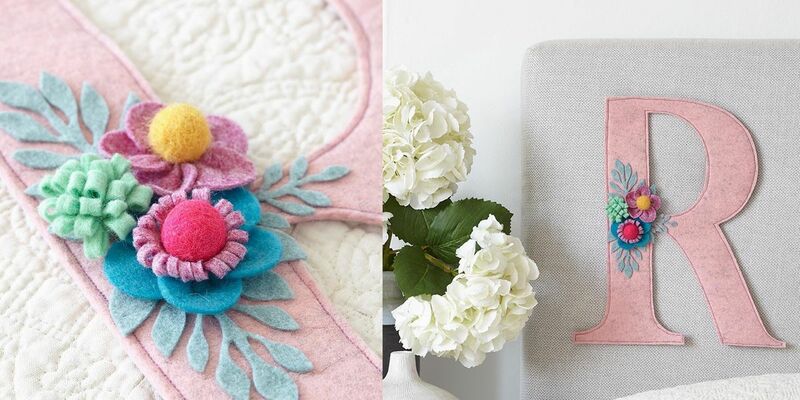 I will then show you how to make sweet little 3D blooms and leaves fom luxury felt fabric and we will arrange these to create a lovely decorative design! There will only be six spaces available on this course - you will therefore receive a large amount of one to one tuition. All materials will be supplied so no need to bring anything! · All of the essential materials: Melange, heathered and wool mix felts, felt balls, sewing machines, pairs of scissors, fabric glue and glue guns.